After The Order: 1886's impressive visual unveil recently, it seems the PlayStation 4 is on a roll to deliver some truly spectacular games in the coming years. And you may very well add Uncharted 4 to that list. 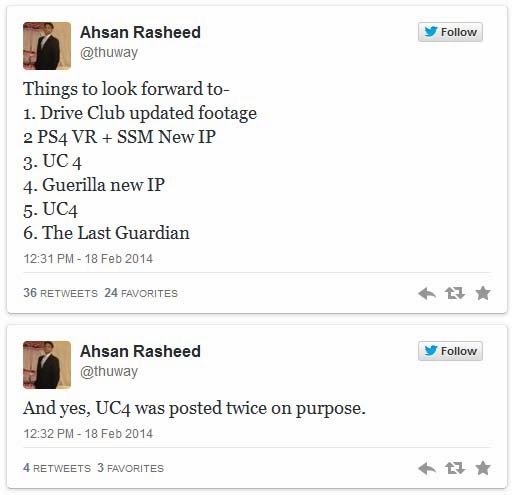 According to industry insider Ahsan Rasheed, Uncharted 4 will be a visual feast, with gameplay fiedlity comparable to The Last of Us cutscenes. As you might have noticed in the tweet, Rasheed mentions "something also about a boat", hinting at vehicular sections in the upcoming action-adventure. In a seperate leak, he also shared some juicy details on Sony's future reveals that we can look forward to in the coming months (maybe at E3?). 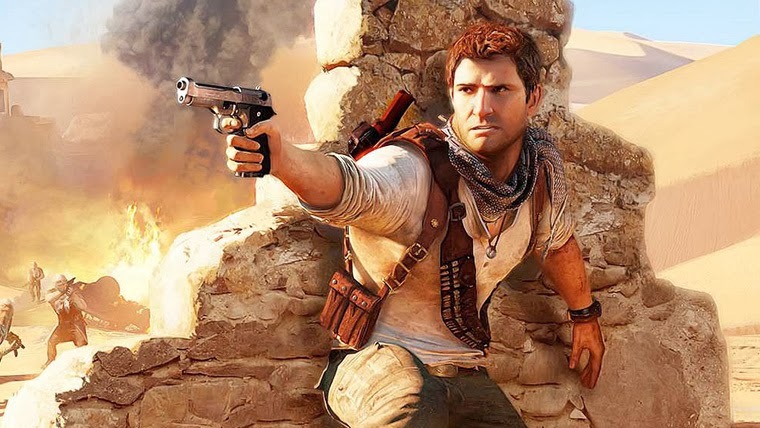 This includes a new IP from Sony Santa Monica with support for the PlayStation 4's rumored Virtual Reality headset, more details on Uncharted 4 and Guerrila Games' new IP, and lastly, a confirmation that The Last Guardian is coming for the PlayStation 4. He also hinted at a Gran Turismo 7 Prologue. Whether or not if these rumors are true will remain to be seen. However, if there is any certainty to them, the PlayStation 4 has an exciting path up ahead. Sony recently announced its three-month old PlayStation 4 has sold over 5.3 million units worldwide. We reflected back on the highs and lows the system has endured so far, all while looking forward to what we can expect in 2014.